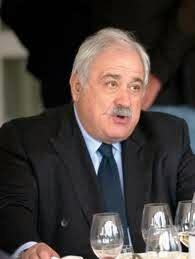 Ed McCarthy, Mary Mulligan, Charles Scicolone, and Michele Scicolone are in my opinion among the small handful of “experts” in this country who truly understand Italian wine, both in what it does well and why, and what it doesn’t succeed at and why. I thought a Caparone tasting would be as interesting and enjoyable for them as it would be for me. Mary is an MW and head of a wine school here in New York, and she and Ed are co-authors of the Wines for Dummies series of books. Michele and Charles are experts on Italian wines and foods. 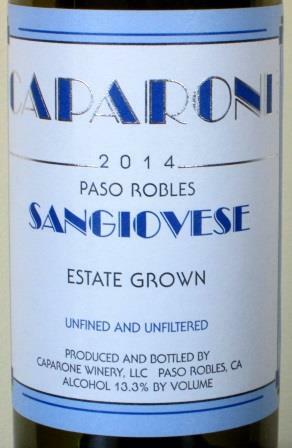 A few years back Ed had tasted and liked Caparone’s Sangiovese, which impressed him at the time as the only moderately successful California version of an Italian variety, but that was all he knew of the wines. 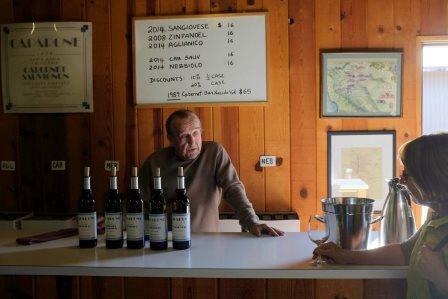 Charles and Michele had never had the opportunity to taste the Caparone wines at all, and Charles was deeply skeptical about what California does to Italian grapes – as indeed I had been until I tasted Caparone’s. We all convened at the restaurant La Pizza Fresca, which provides a very welcoming space for such an event, with excellent service, fine and appropriate glassware, and good food to sustain the hungry winebibber. Ed brought a lovely bottle of Clouet’s Pinot noir-heavy NV Champagne and a bottle of Benanti’s 2010 Pietra Marina, probably Sicily’s finest white wine, to start us off. 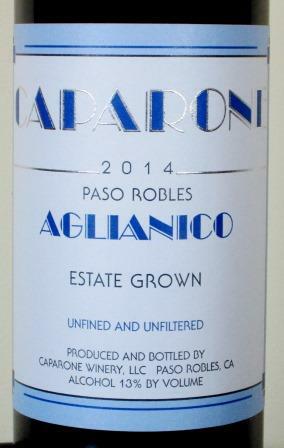 The we got down to the business of the day: Caparone Italian varietal wines. That was the service order, the Sangiovese being the lightest-bodied and the Aglianico the fullest. We talked a lot about freshness and varietal character, and we agreed that all the wines showed the unique qualities of each variety very well. There was also universal agreement that these were the most successful California versions of Italian grapes that any of us was aware of. The disagreements concerned nuances and precise comparisons: Charles, for instance, thought the young Sangiovese slightly over-oaked, like a Super Tuscan, while I wasn’t bothered by oak flavors at all. I’ve written about my admiration of these three 2014s before, and both Charles and Ed have published admiring accounts of the whole tasting, so I’ll spare you most of the details – except to emphasize that both 96s, at 22 years old, still tasted fresh, with mature and developed flavors playing side by side with still-young fruit flavors. Both seemingly have years of life ahead of them – and that would be no mean accomplishment for any of those grapes in their home territory. An informal vote for the wine of the day ended in a toss-up between the young Nebbiolo and the old Aglianico. I could see the reasons for both, but when push comes to shove I am a person of mature years, and I like my wines the same way. 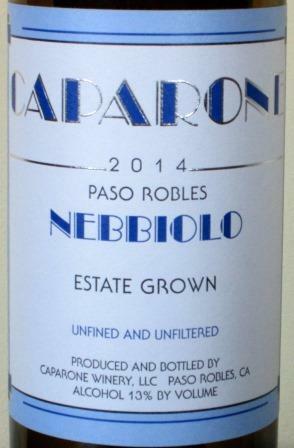 A few days after this tasting, I opened at home a bottle of Caparone’s 2012 Zinfandel, the first of Caparone’s non-Italian varietal wines I’ve tried. It was lovely, full of classic Zinfandel brambly, berry-ish flavors, but restrained and polished rather than exuberant and in-your-face. The bottle’s back label describes it accurately as a “rich, complex Zinfandel,” “aged for 24 months in small oak barrels” and “racked rather than fined or filtered.” It further claims that the wine “will continue to develop in the bottle for 25 years or more” – and I believe every word of that. The Caparones, father and son, are clearly New World producers with a wonderfully Old World technique and style. The comparisons that spring to my mind are masterful family producers like the Chave family in Hermitage, or the Clape family of Cornas. If Paso Robles had the prestige of the northern Rhone, a lot more attention would be being paid to what’s happening at Caparone. Campania Stories 2018 climaxed with a blind tasting of 111 red wines. By the standards of the Nebbiolo Prima or the Chianti Classico and Brunello anteprima, at either of which professionals taste 100 or more wines a day over multiple days, that’s not a lot of wines – but judged against what Campania’s production was in the past, that is a tremendous leap forward. 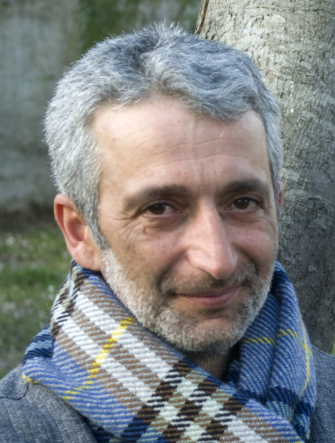 That same progress is evident in the quality of the wines as in the proliferation of appellations and producers: Every year, the most authoritative Italian experts – Daniele Cernilli, Gambero Rosso, the Italian Sommeliers Association – give Campania more and more of their top awards, and list more and more Campanian wines in their annual guides. Not all of those wines are available here in the US, of course, but many are – enough to create some confusion for American consumers. The region’s many appellations result not from Italian whimsicality or parochialism, but from Campanian geography. 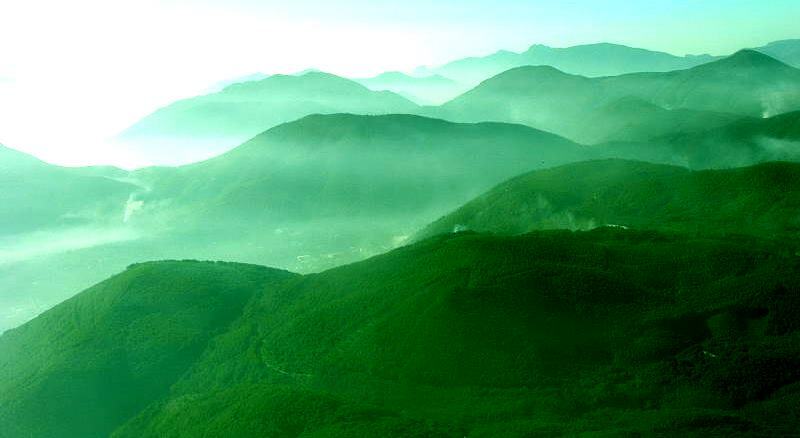 Campania is broken up by hills and mountains, divided by valleys and rivers, with soils volcanic and alluvial and sedimentary, and climates modified by altitude and/or proximity to the sea. These necessitate differing appellations to reflect the many varied growing circumstances, which in turn affect the kind of wine produced – even when the grape varieties are the same. That is one of the underlying simplicities of Campanian red wine: Campania has largely resisted the importation of foreign grapes, and almost all Campanian reds are made with a small handful of indigenous grape varieties. At the top of the heap stands Aglianico, in its pinnacle expression Taurasi and in many other regionally named wines. Right behind is Piedirosso – the Per’e Palummo beloved of traditional growers – sort of a Merlot to Aglianico’s Cabernet, which blends wonderfully with Aglianico and also makes a very nice wine on its own. And distantly behind Piedirosso (in volume, not in quality) follow Casavecchia, Pallagrello nero, Tintore, and a handful of other ancient red varieties just now being rediscovered and re-cultivated. For me, as a wine lover and an I-hope-useful journalist, this plenitude of fine wines and their appellations makes a major problem. 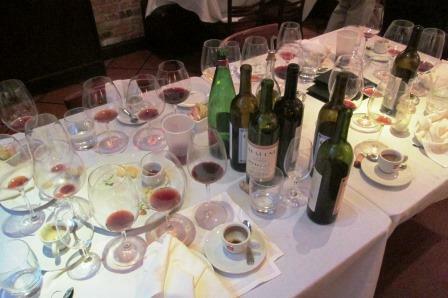 For instance: at the blind tasting, 71 of the wines presented were either 100% Aglianico or largely Aglianico-based. None of them was a wine I couldn’t drink with pleasure. Fifty-six of them scored 3.75 to 4.5 on the 5-point scale I use for my own ratings, and I’m a stingy scorer. Fifty-six! 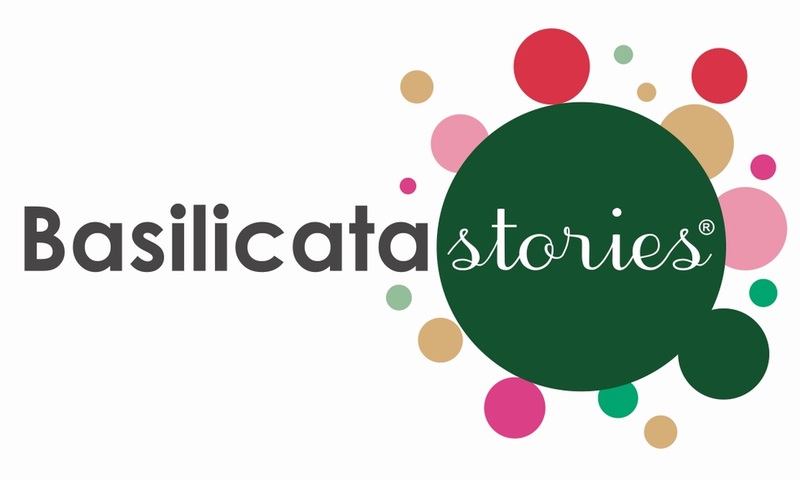 I can’t in conscience just turn this post into a gigantic list: I came too close to that for my own comfort (or yours, I am sure) in my post on the white wines of Campania Stories. But I also can’t omit the names of these wonderful wines and their hard-working producers – so here’s a link that will connect those of you curious or masochistic enough to want to know them to the complete list of Tom’s Very Pleasurable Fifty-six. What impressed me consistently about the Taurasis especially, but all the less famous Aglianico wines as well, was the wonderful Aglianico fruit – wild cherry, black raspberry, forest underbrush, walnuts and earth – in the aromas and flavors. In the Taurasis, it tends to be a bit more austere and structured, in the other wines a little softer and more giving, but in all it is sustained by a structure that promises long life and development. Not that they have to be kept forever – many were already pleasant drinking and almost all will be thoroughly enjoyable very soon – but for anyone seeking mature flavors and style in a red wine, these Campanian beauties can provide it, if you’re patient enough. Galardi’s Terra di Lavoro, Villa Matilde’s Falerno Rosso, La Rivolta, Mustille, Fontanavecchia, Benito Ferrara, Donnachiara, Di Meo, Luigi Tecce’s Campi Taurasini Satyricon – all these “non-Taurasis” are splendid wines, with a good chunk of Taurasi’s virtues. As for the Taurasis themselves: There was an impressive, almost universal level of excellence from producers large and small. Clearly the level of winemaking in Campania has taken a major step upward. Familiar larger producers like Feudi di San Gregorio and Villa Raiano showed lovely wines, as did medium-sized houses like Donnachiara and Di Meo and small producers such as Luigi Tecce – and so too did a raft of producers previously unknown to me, some of them quite small, such as Vigne Guadagno or Regina Collis. In the 2012 and 2013 vintages especially, throwing darts at a list of Taurasi makers would probably get you a fine wine nine times out of ten. Finally, I can’t close this post without praising the wines vinified – in most cases, 100% – from Casavecchia or Pallagrello Nero. Two ancient and indigenous Campanian varieties now undergoing serious revivals, both make an intense, dark wine, brooding and elegant, and seemingly capable of graceful aging. 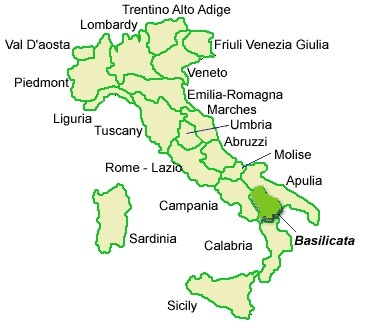 Top-flight producers include, for Casavecchia, Aia delle Monache, Alois, Sclavia, and Viticoltori del Casavecchia; and for Pallagrello nero, Alois, Cantina di Lisandro, Nanni Copè, Sclavia, Tempio di Diana, and Vestini Campagnano. As my enthusiasm should show, I found the whole Naples event pleasurable and exciting. I would urge any young enophile to start paying serious attention to Campanian wine, while it is still modestly priced and not yet well known. This is an opportunity to fill your cellar with beautifully structured, long-lasting wines that you will enjoy for many years. Naturally, these younger wines were not as complex or developed as their older relatives – but the vines are older too, and that adds dimension to even a newly released wine. These were all beautiful specimens of their varieties. They seemed perfectly worthy of standing on the table with the best young examples of their kinds I’ve had in Italy, though patently different from them in the character of their fruit and their balance. The Sangiovese showed a brilliant light garnet, very pleasing to the eye. The nose came across as all underbrush and fresh red fruit. 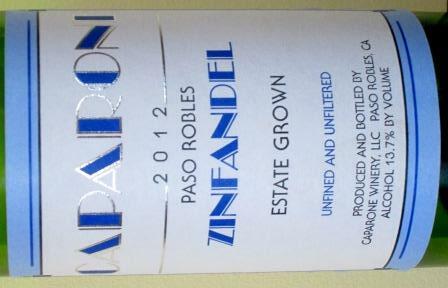 The palate tasted youthful – bright cherry – with medium body and a lively acid/tannin balance. The overall impression was freshness and elegance, spot-on for young Sangiovese. This wine differed from a young Chianti, for instance, in being not so markedly acid-forward: It was also slightly fuller-bodied, with more generous fruit. The latter quality I think of as quintessential California. It’s worth noting, since this is a young wine, that it got better and more interesting as it opened in the glass. What it will do with some years of maturity makes for very pleasant speculation. The Caparones aren’t given to exaggeration or over-hyping their wines, but their back label claims that this wine (and its sibling Aglianico and Nebbiolo) “will continue to age for 25 years or more.” I’m not likely to be able to test that statement, but I sure hope some of you will. It’s also worth noting that the alcohol level of this wine is a modest 13.3 degrees — by current California standards, almost a soft drink. I enjoyed the Nebbiolo just as much, but it was an animal of different stripe. Its color was a pale garnet, with a thin orange edge, perhaps to an eye unused to Nebbiolo suggesting it’s already old and fading. Far from it: this wine was an infant, tasting of fresh berries (strawberries kept peeping out) and earth. It had good acidity and very soft tannins, with low – by California standards, very low – alcohol: 13 degrees – and a long licorice and leather finish. But what really grabbed my attention right from the start was the aroma: Damned if it didn’t smell delicately of tar and dried roses and earth. That’s textbook Alba Nebbiolo, folks, and I am in awe of a New World wine capturing that quality of this great, cantankerous grape. One major difference between Caparone’s Nebbiolo and any young Barolo or Barbaresco I’ve experienced: No Piedmont Nebbiolo would be as pleasant drinking as this wine at first release. In many vintages, a Piedmont Nebbiolo’s tannins would rip your throat out. Even 2004, which was – and is – a great vintage and a very forward one, was much sterner and more sharply tannic at a comparable age. 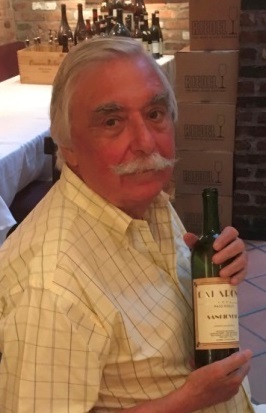 We’ve all always assumed that such early toughness was a necessary concomitant to the structure that made long aging possible – but if David and Marc Caparone are right about the aging potential of their wine, then received wisdom has been dead wrong about that. And that should give us all – consumer, critics, and producers alike – a lot to think about. The 2014 Aglianico certainly gave me a lot to think about. The darkest, most deeply colored of the three varieties, it also had the most intense aroma: earth, toasted nuts (hazel? almond? ), and rich, black, plummy fruit. The earth and black plum flavors emphatically followed through on the palate – just huge fruit flavors, understrapped by lovely acid/tannin balance. The tannins were abundant, but soft, making a well-structured and long-finishing wine, but also a very accessible, enjoyably drinking wine, even so young. With food, the flavor components rounded and broadened and deepened remarkably, revealing an extraordinary balance and structure, yet still soft and open. Diane and I were bowled over: We thought this a wine destined for greatness. And, oh, by the way, it was only 13 degrees of alcohol, which ought to be a slap in the face of all those overblown California wines that substitute big alcohol for any real winemaking quality. I’ve never particularly wanted to live to any great age, but the way the Caparones make wine is causing me to think again about that. .
Quite recently, a group of nine Campanian wine producers, some whose wines are already available in the US, some seeking importers, presented a selection of their wines at a tasting-seminar-luncheon event at Ristorante Gattopardo. Regular readers of this blog know that I’m a great partisan of the wines of Campania: I think they offer an array of indigenous varieties of a distinctiveness and quality that is unmatchable by any other Italian region or by any wine-producing region anywhere. This tasting confirmed my opinion. Now, I have some quibbles with the order of the presentation: In the whites I would have tasted the Falanghina right after the spumante, then the Greco before the Fiano, and the Pallagrello after that; and in the reds I would have tasted the Aglianico first and the Taurasis in order of age, culminating in the 2008 riserva. But I’m a purist, and that is only a quibble. All the wines showed well, displaying in every case a fidelity to type that I find admirable. And since the primary purpose of the luncheon was to reveal to those unfamiliar with Campania the wide range of its wines, they served that purpose very well. The di Marzo spumante. Vinified from 100% Greco di Tufo, this is an uncommon style for this variety, and it worked uncommonly well. The di Marzo vineyards, located right in the heart of Tufo, are the most historic in the appellation. 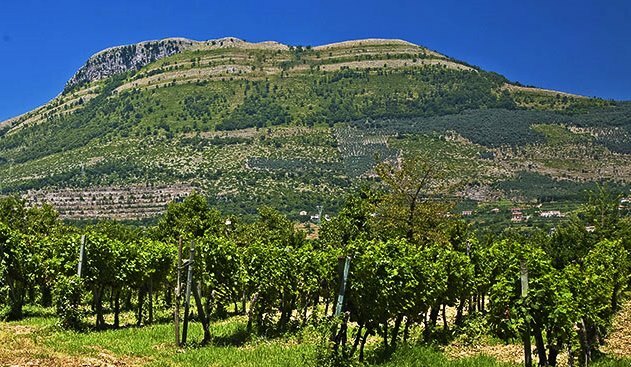 In fact, the di Marzo family brought the Greco grape into this zone in the 16th century, when they shifted their home base from Benevento to the Avellino area. Long neglected, the vineyards are enjoying a rebirth under the direction of the di Somma family, descendants of the di Marzo, and this relatively innovative wine is an example of the new vitality they have brought to bear. Lovely and lively perlage serves as a splendid vehicle for characteristic Greco minerality and acidity, making this fully dry sparkler thoroughly enjoyable as either an aperitif or a dinner wine. 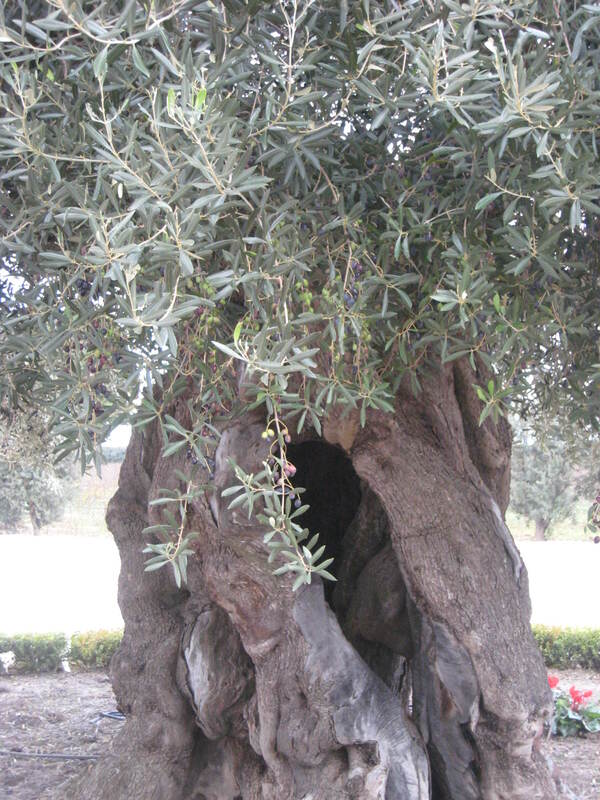 The Scuotto Oi Ni Fiano. Scuotto is a small, relatively new producer in Avellino province, whose vineyards sit at a lofty 550 meters above sea level – not unusual for this area, but necessitating a long growing season, which both Aglianico and Fiano like. This lovely Fiano spent almost a year in contact with its lees, which gave it a very pleasing roundness and richness. The Terre di Valter Aglianico. This too is a new, smallish property, a family enterprise. It has the good volcanic soils typical of Irpinia, which gift the wines with a fascinating earthiness and minerality. This Aglianico is made from younger vines and shows a delightful freshness and fruit, riding on a medium body with finely balanced tannins and acidity – thoroughly enjoyable. 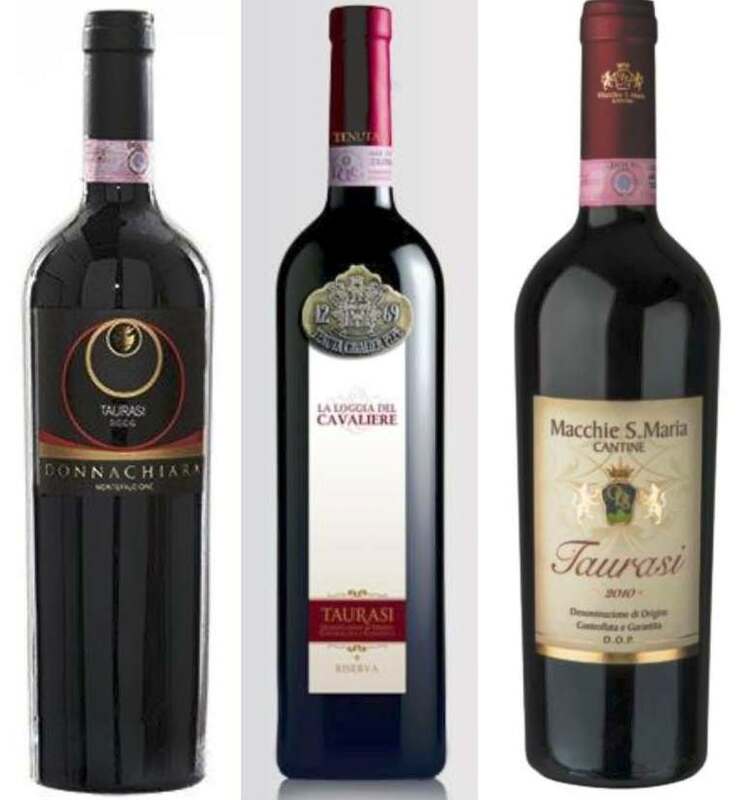 The Taurasis as a group, but especially the 2011 Donnachiara, were all wonderfully characteristic, showing in varying combinations the Aglianico grape’s richness of tannin and acid and dark, berry-ish fruit interlaced with tobacco and walnut and leather. All needed more aging, even – perhaps especially – Cavalier Pepe’s 2008 Riserva, which is a very big wine. The 2010 from Macchie S. Maria showed fine Aglianico character and is a very promising offering from another small grower, quite new to commercial production. Donnachiara is probably better known for its excellent Campanian white wines, which stand at the top of their class, but this 2011 Taurasi seems to me to represent a big jump up in the elegance of its red wine. It has always been better than respectable, but it now seems to be becoming really polished. Of these producers, Cavalier Pepe, di Marzo, and Donnachiara are already available in the US. The others are seeking importers, and I hope they succeed in finding them quickly. These are all highly pleasurable wines that deserve a place on the shelves and on our tables. I should say at the outset that I love Aglianico. I’ve been told that, somewhere or other, Robert Parker has said that Aglianico may be Italy’s noblest red grape of all. If that is so, I totally, wholeheartedly agree, and I’m delighted he has at last seen the light: I can only hope that more wine journalists catch on. 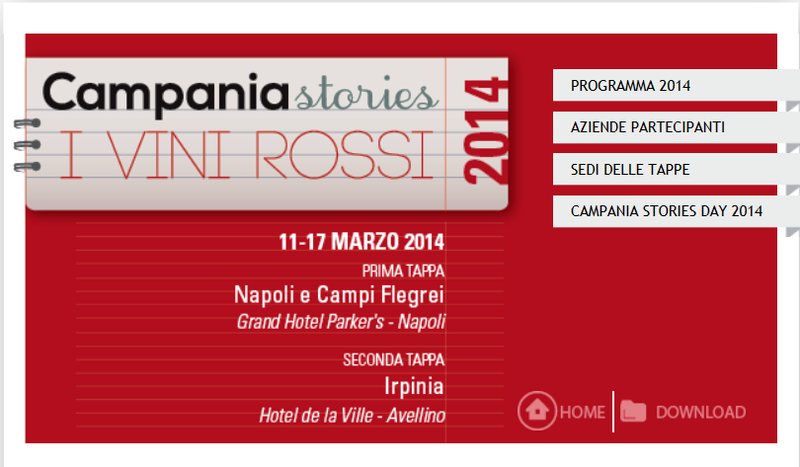 In my previous post, I focused on the Naples/Piedirosso portion of March’s Campania Stories event. After that, the event shifted its location to Avellino and its attention to Aglianico. The province of Avellino is the home of Taurasi, for a long time Campania’s only red DOCG, and still the prince of Aglianico-based wines – all of which were the subjects of numerous seminars and tasting sessions for the balance of Campania Stories. Much as I enjoyed Naples and Piedirosso, this half of the event hit me where I live. 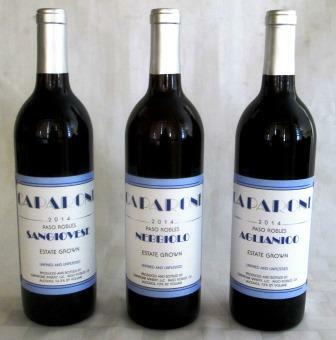 The linking of the name Aglianico with some dialect form of the word Hellenic has been pretty much debunked as a false etymology – which is a shame, since however inaccurate it may be philologically, it is spot-on in indicating the antiquity of the variety and the persistence of its history in Campania. For our purposes, the most important chapter of that history occurred shortly after WWII, when the Mastroberardino family resisted the introduction of international varieties and unequivocally cast its lot with Campania’s native grapes, the immediate upshot of which was the survival and present importance of Fiano, Greco, and – most to the point – Aglianico and its greatest achievement, Taurasi. Over my two days in Avellino, I tasted close to 100 Taurasis and Aglianicos, not all of which are available in the US. Many producers are quite small, and I’d guess that a good half of them have been bottling their own wine for only 20 years or less. That doesn’t mean they are new to the grape, however: Almost all were growers before, selling their grapes to co-ops or to a few large firms. There are no big outside investors here, buying up vineyards and planting international varieties. In fact, more than a few of the newer wine producers have family histories of grape farming several centuries long – so even brand-new labels may represent a lot of experience with Aglianico. 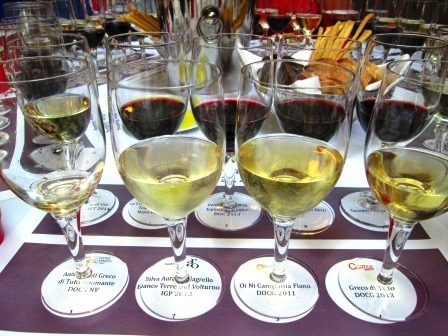 That showed in the tastings, where the level of winemaking seemed impressively high, even judging it from the perspective of wine zones like Barolo and Barbaresco, which are further along the developmental curve than Campania. I found many wines to admire and even a few to love – and I’m getting pickier and pickier as I grow old and cranky. Here are some of my top-scorers. All of these are impressive wines, though the very youngest are not really what I want to drink right now. But that’s the point with Aglianico, and especially with Taurasi: Even in lesser years, these wines reward patience. They are always worth the wait of at least a few years from release. All the commonplace comparisons with Barolo aren’t hype: They’re based on Aglianico’s inherent ability to evolve in the cellar into an incomparable nectar. Check my old post on last year’s Mastroberardino six-decade vertical, if you need proof of that. This year, the big news in Aglianico has been the granting of the DOCG to Benevento province’s Aglianico del Taburno, a promotion that many producers see as giving a boost to the prestige of Aglianco and its wines all through Campania. Such a lift would certainly be justified: Benevento has been producing lovely Aglianicos (and most at quite reasonable prices) for some time now. 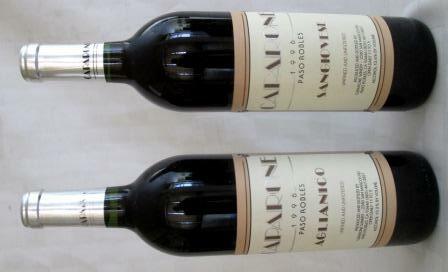 They have a different style from Avellino’s Aglianicos – softer, more giving, less austere in their youth, but with immediately recognizable Aglianico flavors. My impression is that most of them won’t be as long-lived as Irpinia Aglianico or, especially, as Taurasi. But I might be wrong about that: Certainly both the ’09 Villa Matilde Falerno del Massico Rosso and ’07 Falerno del Massico Rosso Vigna Camarato that I tasted in Avellino seemed ready to live for many more years, so who knows what the potential is in any of Campania’s provinces? These are very much zones in development, and they have years – if not decades – of excitement and discovery before them. Campania remains unique among Italian wine-producing regions in having strongly resisted the lure of international grape varieties and placing its faith in indigenous grapes, of which it has an abundance. There is one great exception to that rule, however, and it is one of the great wines of Italy. It’s exceptional too in that – even though I generally deplore polluting Italian varieties with Cabernet or Merlot – this is a wine I really like. I’m speaking, of course, of Silvia Imparato’s Montevetrano, a magisterial blend of Cabernet sauvignon, Merlot, and Campania’s prince of red grapes, Aglianico. It’s grown in the Cilento, not far from Salerno, an area of Campania a touch wilder and less developed than most, and one not particularly noted for fine wine. Montevetrano burst on the scene almost 25 years ago: 1991 was the first vintage, just for friends. Right after that Riccardo Cotarella came on board, and Montevetrano promptly began grabbing attention and awards. Over the years, for instance, it has accumulated 14 Tre Bicchieri awards – a record that would be enviable for wines from far more prestigious areas than the Cilento. 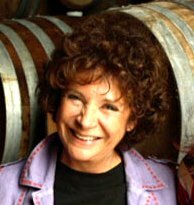 She has been working with Riccardo Cotarella for 20 years now, and to celebrate that anniversary they are introducing a new wine, a 100% Aglianico called Core. 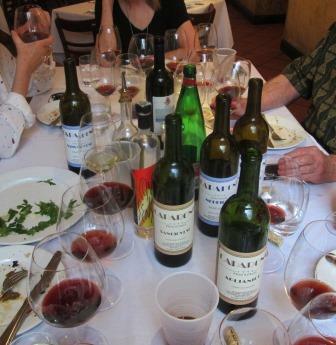 I had the chance to taste 2012 Core then and there, and also later at a blind tasting in Naples. My notes agree that both times, Core was a standout: very young, obviously, but with a gorgeous Aglianico nose of earth scents and dried black fruit, and a complex, intriguing palate of soft black fruit, tar, and tobacco. The finish was long and gently leathery. 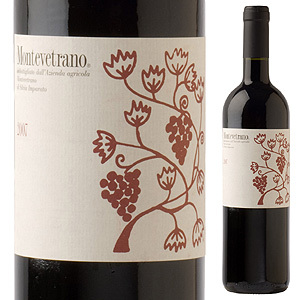 Montevetrano 2011 – Beautiful aroma, with Aglianico notes riding over the Cab and Merlot scents. Soft and round in the mouth, with good underlying tannins. At first a bit closed, but opens nicely in the glass. Fine balance. Will be excellent. Montevetrano 2010 – Leather, tar, dried fruit, and earth in the nose. Blackberryish fruit and leather in the mouth, with a long, fruit-leather finish. Very fine: Though it seems to be maturing rapidly, it has ample structure for long life. Montevetrano 2009 – Stronger Cabernet presence in the nose. Lovely palate, very elegant, very composed, with a lot of tightly controlled nervous energy. Tastes as least as young as the 2011, with very great potential. Montevetrano 2008 – Aroma just beginning to mature and deepen. Palate too starting to darken and deepen, with earthy, leathery, mushroomy notes beginning to show. Should be wonderful in 5 to 10 years. The truly amazing thing to me is that there don’t seem to be any bad vintages at Montevetrano. I don’t know how they do that, but I definitely admire it. One final note: I apologize to Silvia for the title of this post, since I think she hates that “Super Something” designation. I’m not crazy about it either, but it furnished the most concise way to headline an important point about the wine. Initially, the event that most drew me to Campania, back at the beginning of March, was the tasting of new releases of Taurasi and Taurasi riserva. This has for decades been one of my favorite wines, though it has suffered the fate of most southern Italian wines: It just doesn’t get the attention or respect it deserves. As I’ve said before, I rank the Aglianico grape from which it’s made right up with, and in some vintages above, Nebbiolo. While most of Italy is content to think of Taurasi – when it thinks of it at all – as the Barolo of the South, in Campania they are more likely – and more correctly, given the historical diffusion of viti- and viniculture in Italy – to think of Barolo as the Taurasi of the north. 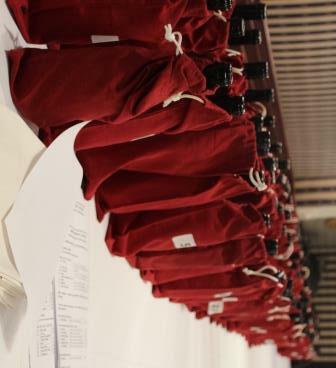 All that prologue is to explain the excitement with which I approached the blind tasting of 48 examples of Taurasi and Taurasi riserva of the 2006, ’07, ’08, and ’09 vintages, plus 16 more bottles of Aglianico of the 2008, ’09, ’10, and ’11 vintages. I hoped this broad swathe of Aglianico production from its heartland, Irpinia, would give me a good picture of exactly what was happening in this important zone. For sure, it did, and for sure it made me one happy camper. I found many wines to enjoy and not a few to relish. That wasn’t the only Taurasi vertical I was fortunate enough to squeeze into my hyperactive week in Campania: I talked about one last month, and I’ll talk about another further along in this post. But first I want to focus on the new releases, which I tasted blind (I always opt to do that when I can: it cuts out all the prejudices of familiarity and label-consciousness and gives me as close as a single taster can get to an objective assessment of the wines). The tasting was very intelligently and helpfully organized. We started with four vintages of Aglianicos from areas outside the Taurasi DOCG: Campi Taurasina, Irpinia, and Campania IGTs: 16 wines in all. The 2011s were very pleasant, the 2010s very tight right now, the 2009s a mixed bag, and the 2008s really fine. Among the wines I thought showed best were several names that will be familiar on the US market: Mastroberardino, Donna Chiara, Villa Raiano. But smaller producers less widely distributed also performed very well: Antico Castello, Antichi Coloni, Caggiano, Di Marzo, and especially Luigi Tecce, whose Campi Taurasini Satyricon was outstanding. All these wines exhibited excellent Aglianico character – black cherry fruit and tobacco and marked minerality, along with lovely balance and, in the 2008s especially, some real elegance. These IGT wines tend to be quite reasonably priced, and you don’t have to be in a hurry to drink them: They will take some bottle age nicely – even the already-five-year-old 2008s. They are the quality equivalent of village Burgundies, at the price of Borgogne Rouge. The tasting then moved on to the Taurasi DOCG wines: first the 2009s, then 2008 riservas, then 2007 and 2006 riservas. 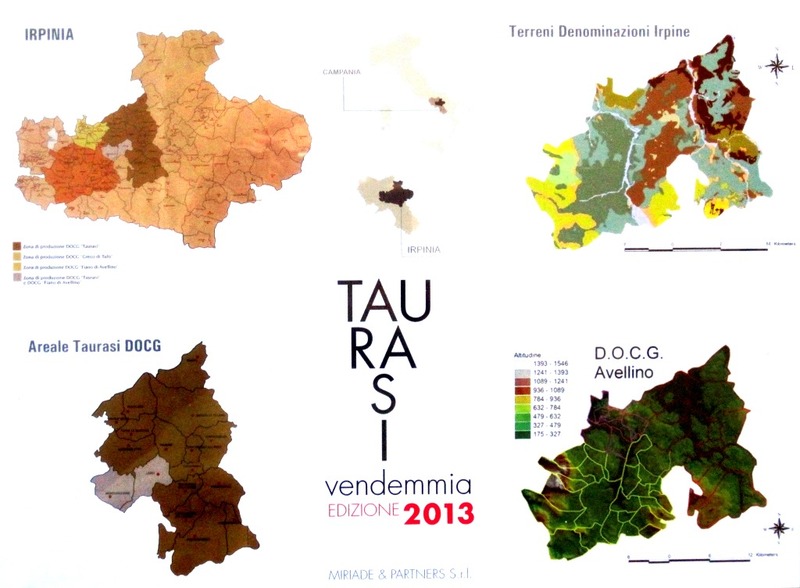 Within each vintage the presentation was divided into geographic sections: first wines blended from grapes originating in two or more subzones, then wines made in the northern quadrant of the Taurasi zone, then the western zone (which overlaps with the Fiano di Avellino zone), then the central valley (bearing no resemblance at all to the similarly named site in California), and finally the southern zone, indicated as alta valle – high valley. I confess that I couldn’t consistently discriminate between these subzones. There may well be specific characteristics that identify the wines of each, but I’d need more experience to be able to spot them. Overall, the 2009 vintage at this early stage of its development is quite pleasing, whatever subzone it’s from – more accessible and less austere than young Taurasi can often be, with nice fruit, good balance, and classic Taurasi elegance. Among the older riservas, I would single out both Mastroberardino’s Radici 2007 and its Naturalis Historia 2007. I’ve posted earlier about Mastroberardino’s magnificent, six-decade vertical of Taurasi, but I was also lucky enough while I was in the Irpinia zone to experience one other impressive vertical. 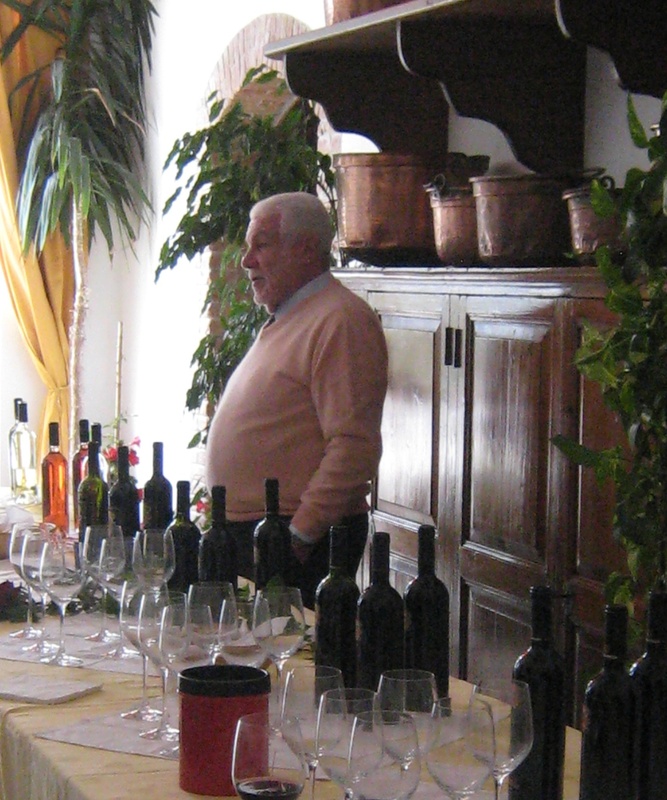 Sabino Loffredo, owner of Pietracupa and a fine winemaker in his own right (his 2009 Taurasi stands among the best of that vintage, and his white wines – Greco di Tufo and Fiano di Avellino – are top-notch) organized a vertical tasting of his friend Luigi Tecce’s Taurasi Poliphemo. This covered the vintages 2008, ’07, ’06, ’05, ’03, and 2001, all of which were absolutely classic Taurasis, with clearly delineated dark fruits (I kept tasting mulberries in addition to blackberry and sour cherry) and tobacco flavors, lovely soft tannins, and admirable earth-and-mineral notes. But so are many – probably most – of the wines I tasted all week long. In all honesty, I didn’t taste a bad bottle the whole week I was there, so you should be willing to at least try any Taurasi of these recent vintages that you come across. The market is in some flux: Italy seems finally to becoming conscious of the vinous treasures it has in the south, especially in Campania, and my guess is that the US market will not be far behind in awareness. So with a little luck, we will start seeing more examples of Taurasi here, soon. Speriamo, eh? I recently attended a fascinating day-long seminar in Avellino, the heart of Taurasi country. The subject was old vines – everything about old vines: the ways they were cultivated; the character of the grapes they bear, as different from those of younger vines; the wines those grapes make; and how, in turn, those wines differ from the wines young vines produce. Part of a project called (aptly) I Patriarchi, and sponsored by the Campanian winery Feudi di San Gregorio in collaboration with two major Italian universities, the event included a visit to a pre-phylloxera vineyard, presentations by some of Italy’s foremost grape scientists – Professors Scienza and Failla of Milan and Moio of Naples – and a comparative tasting of Aglianicos from 60-year-old vineyards in three different zones, Taurasi, Taburno, and Vulture. To say I learned a lot is understatement, as it also is to say I had a great time: This was an experience that appealed to the old scholar in me as much as to the wino. It’s hard to say which was the best part. We seminarians (I’ve always liked that secularized usage for its ability to shock the pious) started the day – bright and cool, with high clouds scudding across a Mediterranean-blue sky – in the somewhat rain-sodden fields, tromping around in boots that Feudi thoughtfully provided. (That, by the way, indicates in its small way how thorough was the preparation for and organization of this event: My compliments to everyone involved.) That visit provided eye-opener number one: I was standing in the middle of pre-phylloxera vines in a zone where I hadn’t known any such existed. It turns out that pockets of sandy soil – alluvial deposits from ancient, now-vanished rivers – lie here and there among southern Italy’s otherwise volcanic terroir. The phylloxera louse, America’s great gift to the Old World and the scourge of its vines, can’t survive in sandy soils. Ergo, small caches of ancient vines still survive on their own roots. 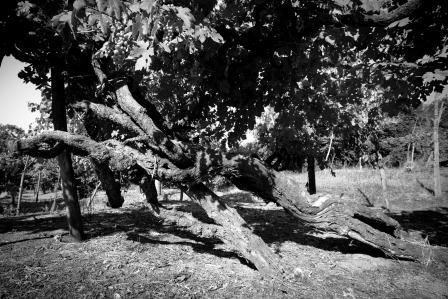 In this particular Aglianico vineyard, the vines, gnarled and twisted to a fare-thee-well, were minimally 60 years old. To my (not particularly expert) eye, what I thought of as the parent vine looked even older. 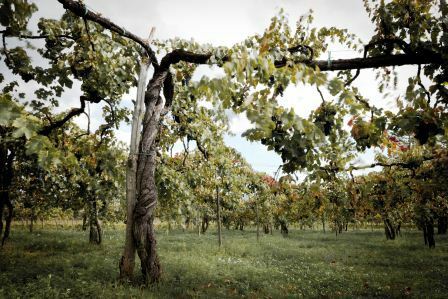 I refer to it as the parent vine because of its size and its central position in a vineyard planted in the antique manner, with vines trained high – eight to ten feet – and clinging to trees and large poles. I’ve known for a long time that training vines to trees was one of the most ancient methods of vineyard management, but I’d never thought much about it. If I ever did, it was to dismiss it as primitive and probably inefficient vineyard management, the product of peasant ignorance and laziness. There’s nothing quite like the condescension of a modern know-it-all, is there? I couldn’t have been more wrong, and actually seeing an example of a properly cared for old-style vineyard made that clear at once. First of all, the vineyard was very carefully planned, with the vines located about ten feet apart either at the corners of checkerboard squares or on a diagonal plan, in quincunxes. My parent vine was gripping a meticulously pollarded tree at the center of one quincunx, its lower limbs cut away decades ago, its middle limbs trimmed or trained to the four directions to support the vines, and its canopy held well above the growing grapevine. It was, Professor Scienza explained, a sort of combination of a high cordon speronata training system and a pergola. That system worked beautifully for the needs of the people who invented it. The grapes were held high, still easy to harvest but well out of the reach of boar or deer or roving goats. They hung below their foliage, shaded by it from the intense southern sun and open to the drying mountain breezes – the latter the best insurance against any kind of mold or mildew. Thus situated, they could ripen slowly and thoroughly through the long growing season Aglianico requires. And underneath those high vines, there was ample room to cultivate other crops, of kinds that would feed both the farmers and the soil, thereby preventing famine, erosion, and soil depletion at the same time. So much for peasant ignorance and laziness. Realizing just how complex this seemingly artless system was, I was simultaneously humbled, stimulated, and ready for more information. What else was going on here that I didn’t know? or had all wrong? Another post – probably not the next, but the one after that – will continue the saga of my enlightenment.